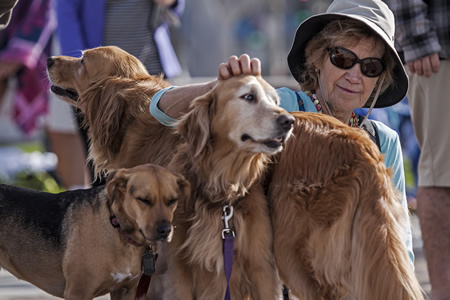 Close to 150 spectators of the two and four-legged variety, lined the boardwalk and the beach to watch competitors push themselves to the limit. Lining up for the 1,000 meter swim, Jack Proctor is momentarily lost in his thoughts of what lies ahead. 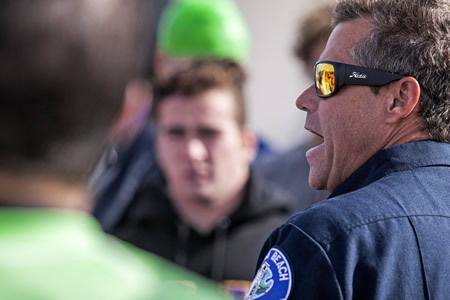 Department of Marine Safety Lt. Scott Diederich instructs participants on the ground rules for the three academy qualifying events. 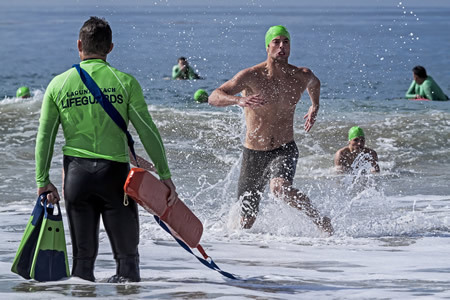 Last Saturday morning, 50 men and six women pushed themselves through three physical events to begin their journey to become Laguna Beach lifeguards. Relieved that the qualifying is behind him, Caleb Scott collapses in exhaustion. : Participants round a cone to finish the third leg of the run-swim-run event. 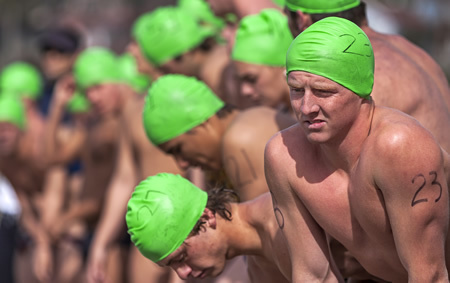 First, competitors had to successfully complete a 1,000-meter swim under 20 minutes in 58º water, before moving on to the second and third events. A run-swim-run — 200 yard beach run, 200 yard buoy swim and second 200 yard beach run, followed by a 200 yard sprint swim. 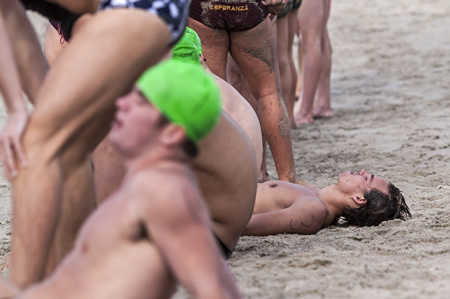 After passing background checks, 53 competitors were accepted into the lifeguard department’s training program, an intensive 100-hour, eight-day training academy that will teach cadets the skills to recognize and make rescues, promote beach safety, provide emergency first-aid and enforce all local beach ordinances, including the Marine Protected Area. The academy is based on competition and performance, with only the highest ranking cadets of their class being hired in June. The actual number of new hires is dependent upon the number of open positions vacated by guards from last year who have chosen not to return. City guarded beaches will be fully staffed for the 2014 season beginning June 21, following the release of local schools. 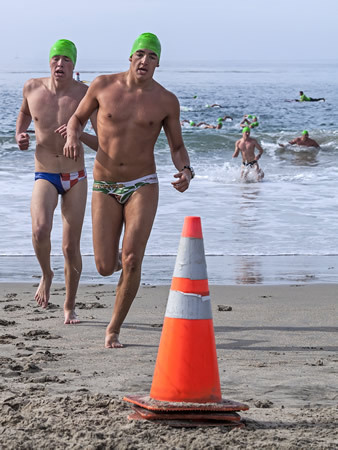 Asking competitors to swim in 52-degree water is not only stupid, it’s downright dangerous. The lifeguard service should have, at least, provided participants with 2-mil shirts. This was macho stupidity at its worst.